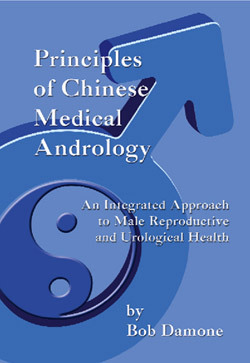 Principles of Chinese Medical Andrology is an advanced textbook and a clinical manual of Chinese andrology. Chinese andrology is a specialty within Chinese medicine and is usually practiced by modern Chinese doctors who with few exceptions practice integrated Chinese-Western medicine (zhong xi yi jie he). Whereas there is a reasonably-sized body of professional andrology literature in Chinese, this text represents the first comprehensive English language Chinese andrology text to date. Section 1 introduces the foundations of Chinese andrology and includes all of the following: >The history of andrology in Chinese medicine >Anatomy of the male genitourinary system >The channels and network vessels in andrology >The viscera and bowels in andrology >Andrological disease causes and pathomechanisms >Chinese andrological diseases >General treatment principles in andrology Section 2 covers specific andrological diseases including: >Scrotal and penile diseases >Benign prostatic hyperplasia >Prostatitis >Erectile dysfunction >Male infertility >Peyronie's disease >Priapism >Andropause About the author Bob Damone, M.S., L.ac. has over 18 years of experience as a practioner and teacher of Chinese internal medicine. He reads medical Chinese and has studied Chinese medicine on Taiwan and in mainland China. He has been teaching at Pacific College of Oriental Medicine for over 12 years, where he is currently the chair of the department of Oriental medicine, and he is one of the most respected practitioners and teachers of Chinese medicine in the San Diego area. Bob is the co-translator of Ten Lectures on the Use of Formulas from the Personal Experience of Jiao Shu-De, and co-editor of A Heart Approach to Gynecology; Essentials in Verse.